This blog post was guest written by Habitat Wake staff member, Imani West. My experience in Tela, Honduras was exceptional and wonderful. I had the opportunity to stay in this wonderful town for nine days with seven other individuals from Habitat. On our first day, we met with our wonderful host Hosea as well as Habitat Honduras staff and hotel staff. The work site was a great experience and I enjoyed building while in Honduras. The masons that we were introduced to were very nice and willing to teach and show us the different jobs we would do each day. My first day on the site I was excited and a little nervous because I didn’t know what task I would be doing first. 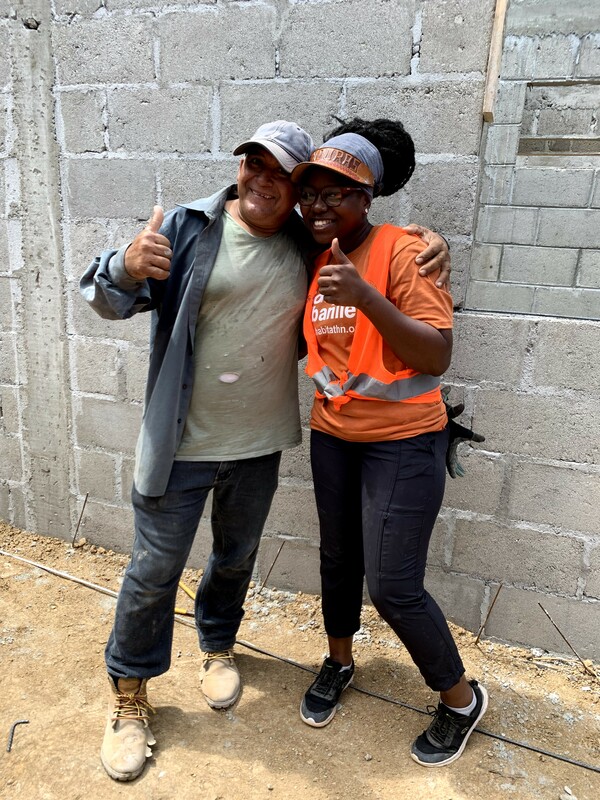 While in Tela, I learned how to do re-bar and fill one of the houses up with dirt (for flooring); I’ll be honest, it was very tiring and painful (because I hadn’t been to the gym in a while) but it was all well worth it. The second day on the site we had the chance to meet one of the homeowner families. The homeowners were very happy about their new home and very happy to help with the building their home. It truly warmed my heart to see how grateful they were. Being a big foodie, I can honestly say that the food in Tela is delicious! I was very appreciative of the homemade dishes that the hotel provided us after long days out on the work site. Thanks to Habitat, Tela is now forever in my heart and I look forward to visiting again!